Many designs that aren't reliable blame relays when, in fact, they should blame the poor choice of relays instead. Last time I talked a little about how to work with the coil side of a relay. I also mentioned how real-life contacts don't just go from completely connected to completely disconnected instantly. Instead, like Achilles and the tortoise in Zeno's paradox, they get closer and closer to each other over a brief period of time. Consider the circuit below. This is an H-bridge and will cause the connected motor to spin one way or the other based on the state of the DIR relay. This is actually not a bad example of where a relay might make sense. If you were mass-producing a robotic toy, for example, it might be cost prohibitive to build a semiconductor H-bridge with its attendant heat sinks and high-side drivers. Two cheap relays, on the other hand, might just fit the bill. Even if you aren't worried about the budget, you could be in a situation where you could not afford the voltage drop across semiconductor switches in a conventional H-bridge. The RUN relay in the circuit serves two purposes. First, it allows you to stop the motor. It also allows the RUN relay to switch with no current flowing through it. Of course, you could switch the DIR relay while running, but you probably shouldn't. The high current draw of the motor will cause the relay contacts to spark before they connect. Unless you have relay contacts that are made to take arcing, this is probably a bad idea. There is also a small chance that, over time, it could be possible for one side of the relay to switch over before the other side has broken its connection, and that would short out the power source. Arcing is bad for a lot of different reasons. It eats away the contact material and can leave non-conductive residue. This causes a rise in resistance and eventual failure. It also can weld the contacts together making the relay stick in one position. Outside of the relay, sparks can be a source of noise that will interfere with other things, too, so you’d like to avoid them for the most part. How do you select the contacts of a relay? Obviously, it needs to be rated for the voltage and current you intend to switch through it. That also means you need terminations sufficient for the kind of wire you have to use to carry that same voltage and current. Those are the obvious things. The less obvious choices involve the type of load and your maximum tolerable contact resistance. If you are switching a load that is purely resistive, you can usually go by the manufacturer's ratings, which should be different for AC and DC since relays can handle more AC power than DC. The other factor you have to worry about with resistive loads is inrush. Some resistive devices like heaters or light bulbs don't reach their operating resistance until they warm up. When cold, their resistance is quite low and will draw significantly more current until they heat up. Inductive loads, like motors and other relay coils, pose a different problem. I mentioned last time how an inductor throws a spike when you switch. If there is an inductor on the contact side of the relay, the same problem occurs and it increases the likelihood of arcing in the relay. The vendor should provide guidance on how to derate the relay for inductive loads. Just like switches, sometimes snubbers are used to mitigate inductive load arcing. The contact material allows you to trade contact resistance against resistance to corrosion and arcing. In general, materials that have lower resistance (like gold and silver) are not going to be as rugged as common materials like silver-cadmium-oxide or silver-nickel. For lower power, you can't count on arcing to clean the contacts, so corrosion resistance becomes important. One interesting trick for switching very low-level signals with relays is to use more than one contact in parallel. If your contacts were, say, one ohm each (very high, really, but makes for easy math), then using two of them would cut the resistance to 0.5 ohms. This trick is also used, sometimes, to improve reliability in cases where as long as one contact works, your circuit will work. Gold plated: Low contact resistance, but will erode both mechanically and electrically. Even with a dry circuit, a 10 micron plate may only last for 1 million operations. Gold flash: Flashing, which may be less than a micron thick, offers little electrical value since it will wear almost immediately. However, it may prevent corrosion during storage and shipping. Tungsten: Heavy duty contacts with good resistance to welding. Silver: Excellent electrical properties but prone to contamination failures. Silver-tungsten: Very hard and resistant to arcing and wear, but high contact resistance. Silver-nickel: Resists welding more than some other materials and a good substitute for silver. Silver-copper-nickel: Common hard material with a long life, but tends to oxidize at high temperatures. Silver-cadmium-oxide: Widely used in high-power AC relays due to resistance to welding. Not recommended for high current DC use. Silver-tin-oxide: Good choice for weld resistance under DC loads with high inrush current. Silver-tin-indium: Used in high inrush current designs. Silver-palladium: Highly resistant to corrosion, but needs high current to clean. That seems like a big dose of hardware information, and it is. However, if you are contemplating putting relays into a design, you should be aware of what design choices you need to make. 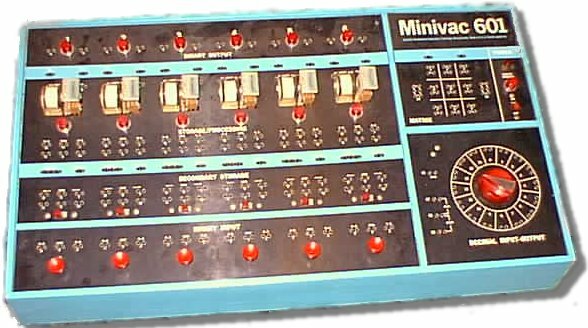 It is amazing that whole computers have been built using relays (for example, the Mark I, Simon , arguably the original hobbyist computer, the Minivac, and Harry Porter's computer. It is easy to think about expressing logic functions as relay contacts. Two relays in series form an AND gate. Two in parallel form an OR gate. However, you can do better if you don't limit your thinking. Harry Porter's computer uses relays much like you'd use FPGA cells. Another common technique is to treat a relay as a multiplexer. A multiplexer can be wired to work as any common logic gate (see the figure below), a technique exploited by some FPGAs, as well. I've been talking about garden-variety relays, but there are also a variety of special-purpose relays that have even narrower niches. For example, a latching relay will hold its position until you explicitly reset it. For relays with many sets of contacts, the reset coil may require a lot of current since it has to overcome all the latches. Some relays made for high voltage will be gas filled. High-reliability relays may be hermetically sealed. There are relays that switch coaxial cable, and safety relays that lock their contacts together so that any failure will cause all the contacts to fail. Relays are hardly mainstream like they were in the past. However, for some applications they still make sense and can be fairly reliable if you select the right one for your application. Many designs that aren't reliable blame relays when, in fact, they should blame the poor choice of relays instead. Next time, I'll return to the 21st century and talk about something with fewer moving parts.